This is my adaptation of the Indian saboodana wada recipe from Mr Todiwala's Bombay cookbook. These are sago and potato fritters, with peanuts, cumin seeds, coriander leaves, lime, and chilli. Naturally those ingredients are out on a failsafe diet, so I created this adaptation. 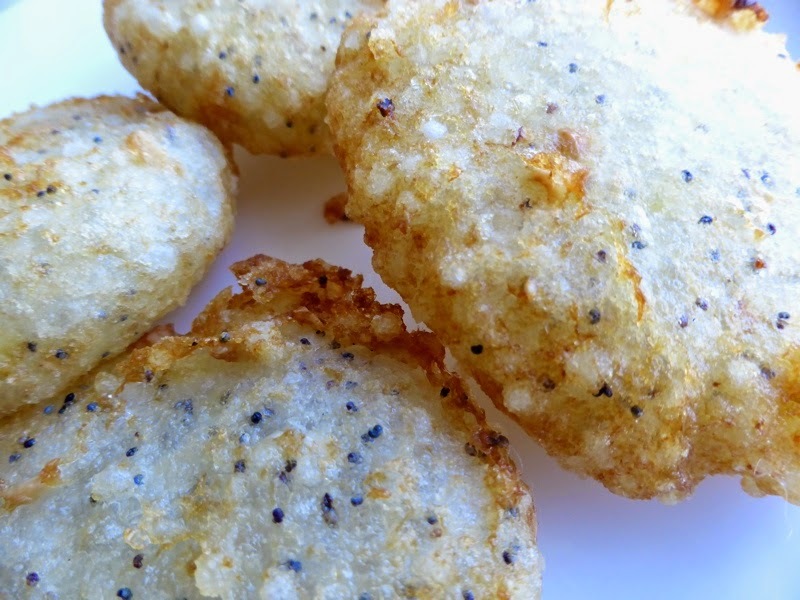 The fritters have a great texture, sort of glutinous and chewy, with a crispy shell. Very moreish! 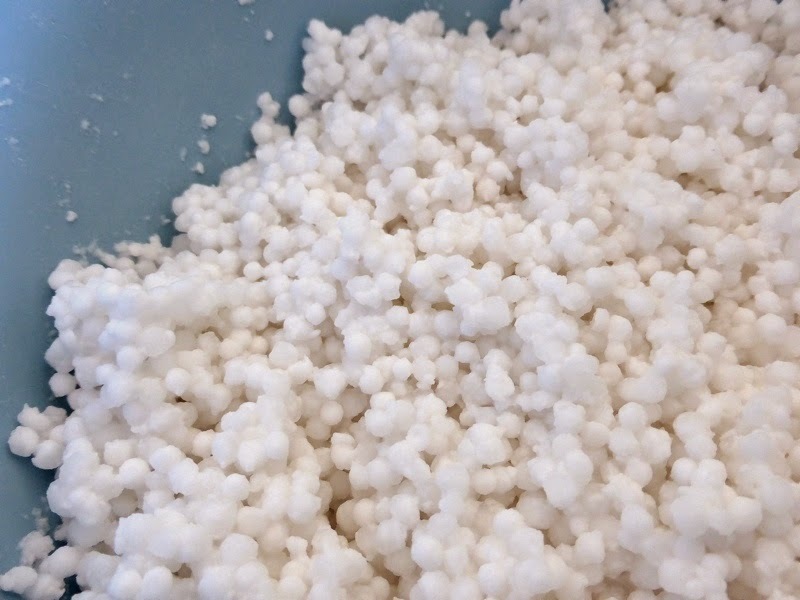 1) Rinse the sago, put in a bowl, and add enough water to cover the sago. Leave for at least several hours (if using small sago) or overnight. I used small sago, and left it overnight, and that worked well. If there's any water left over after soaking the sago, drain it well in a sieve. Let sit in the sieve for 15-20 minutes to get rid of any excess moisture. 2) Peel, boil, and mash the potatoes. 3) Slightly dry-roast the cashews in a small pan, stirring constantly. Then chop them finely (but not too finely). You can use a small food mill or processor for this step, but don't let the cashews become a paste. 4) Mix all ingredients except the rice flour in a bowl. If the mixture is too wet, add a little rice flour. I actually did this in two stages. I mixed the sago, potato, cashews and salt together first. Then I set aside some of this mixture for myself, and added some poppy seeds, citric acid, and spring onions. I made the remainder of the mixture as per the original recipe (adding 1 tspn cumin seeds, 2 diced green chillies and 1 tspn lime juice), for the rest of my family who aren't eating failsafe. 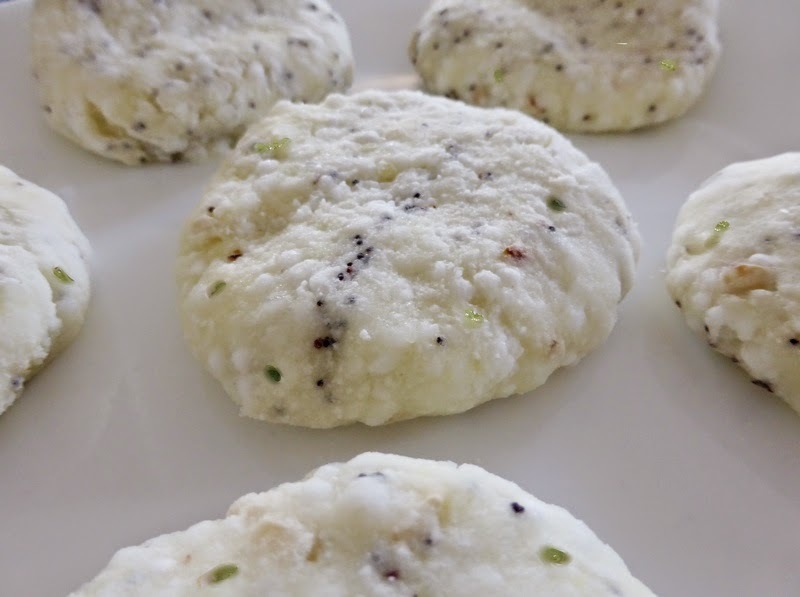 5) Dust your hands with rice flour, and shape the mixture into small patties, a bit smaller than the palm of your hand. Keep dusting your hands with the rice flour as you go. Place the patties on baking paper on plates, and refrigerate for at least 30 minutes before cooking. 6) Heat the oil in a deep saucepan to 180ºC (either use a thermometer, or test a cube of dry bread in the oil - when it browns in 30 seconds, that's 180ºC). Put a colander over a plate, to drain the patties in (they may stick to kitchen paper). 7) Fry a couple of patties at a time, until golden brown. Turn to get even cooking. Drain in the colander. 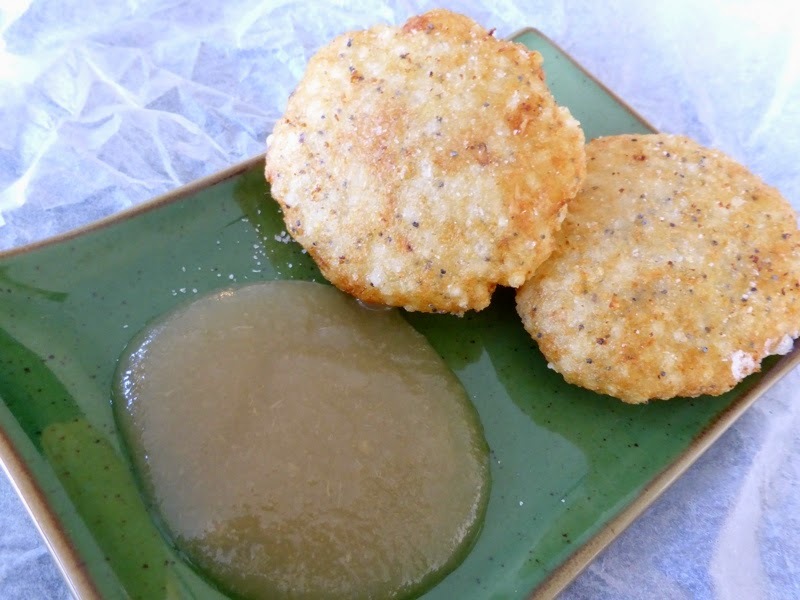 They are really good served warm, with pear ketchup, or any other favourite failsafe relish or dip. 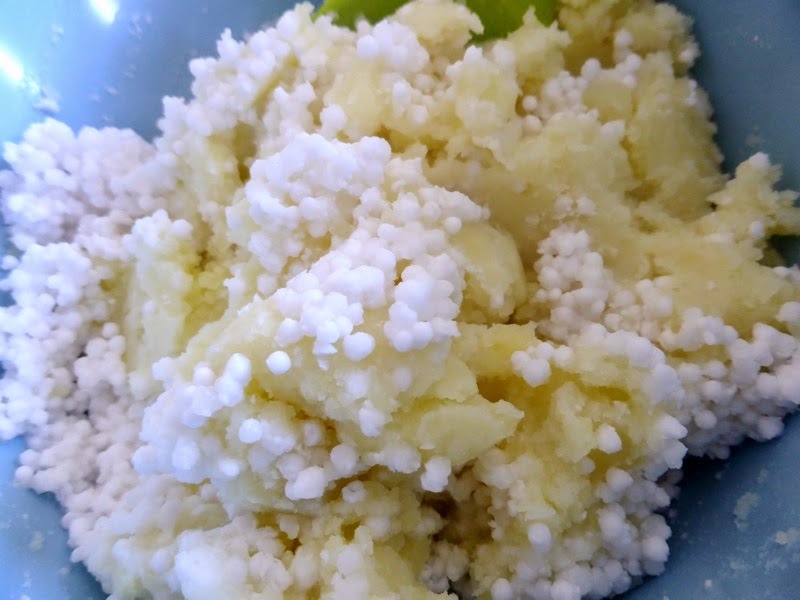 * Sago from the supermarket generally has preservative in it, which is driven off by cooking — but in this recipe, the sago is soaked but not boiled, so if you're sensitive to preservatives, look for preservative-free sago or tapioca pearls. Sources include Asian grocers, Natures Works shops and Bobs Red Mill (tapioca pearls). OK, they sound perfectly delicious either way. The pear ketchup looks quite mango chutney-y!!! Your delicious recipe has been nominated as one of the "Top 100 Best Potato Fritters Recipes on the Internet". You can view it and vote for it here: http://potato-recipes.org/best-potato-recipes/best-potato-fritters-recipes-internet/ (position #31).